Harry was born on April 3 1915 and grew up in Sheffield where his father was a professor at the university. Educated at the independent Repton School at Repton in Derbyshire, he went on to study at London’s Slade School of Fine Art under Randolphe Schwabe, who was to play a major part in his life. He took the Diploma in Fine Art and was awarded a post-graduate scholarship which he used to study stage design, then spent the greater part of 1937-8 travelling in Europe studying the teaching of art. This culminated in a report on the teaching of art in primary schools. After teaching for some years in secondary schools, he took up duties as assistant master in painting and drawing at Glasgow School of Art in 1944 — having been recommended for the post by Randolphe Schwabe. Shortly afterwards he was promoted to deputy director and registrar, a newly created post. After twenty years at the school, he was appointed director in 1964, a post which he held until his retirement in 1980. He oversaw many new developments in a time of significant academic development, which paved the way to the present workings of the School. In 1978 the old Diploma courses were replaced by Degree courses. One of his major achievements was the setting up of the Mackintosh School of Architecture in 1965 in collaboration with Sir Charles Wilson at the University of Glasgow. Another achievement was the lease of buildings at Culzean Castle in Ayrshire for the use of the School. Throughout the seventies students and staff stayed for a week at a time to study and be inspired by the natural environment. He oversaw massive extension at the Renfrew Street school with the building of the Foulis Building, the Newbery Tower and the laying of the foundations of the Bourdon Building. His own personal interest in stage design was shown in the part he played in promoting and managing many of the student plays at the Art School, and he was also a set designer for the Glasgow Grand Opera Society. During the fifties and the sixties, interests in Scotland gravitated to the crafts, and he was involved in the creation of the Scottish Crafts Centre in Edinburgh and was appointed convener of the panel of assessors who judged the work submitted to the Centre. He played a leading role in the promotion and teaching of art and crafts in Scotland as a member of the Consultative Committee on the Curriculum for six years, and later as chairman of the Working Party looking at the teaching of art in secondary schools. He was influential in setting up the Charles Rennie Mackintosh Society, of which he was chairman for many years. 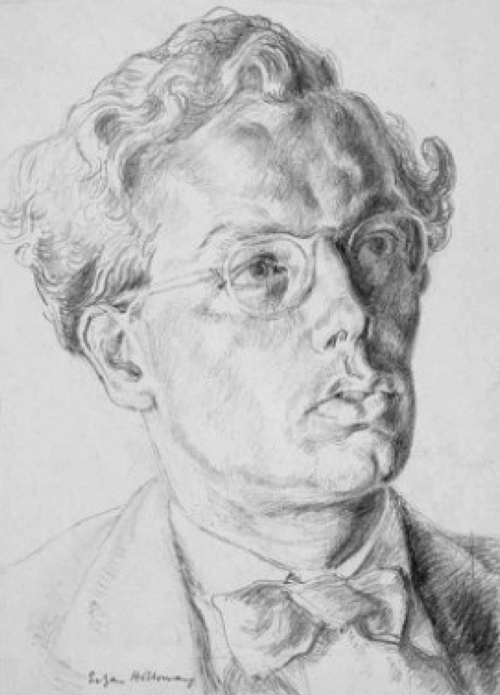 In 1941 Harry Barnes married Alice Schwabe, daughter of Randolphe, under whom he had studied at the Slade, who had strong Mackintosh connections. The family moved to Helensburgh in 1947 and lived in Auchenteil, Suffolk Street. In conjunction with John Noble, Harry acquired the Edinburgh Tapestry Company in 1955 at The Dovecot Studios, and assisted in running it. He also served on the committees of the Saltire Society and the National Trust and was on the board of the Citizens Theatre in Glasgow. He received an honorary MA from the University of Glasgow in 1966 and an honorary LLD from the same university in 1980. He was appointed CBE in 1971 and knighted in 1980. In Helensburgh he became actively involved with the local art world, exhibiting with Helensburgh Art Club and organising the club’s winter lecture programmes in the then Gas Showrooms in East Princes Street. His daughter Janet said: “With his connections with the Scottish art scene he was behind many of the exhibitions which were held annually in addition to the member’s ones, through the Scottish Arts Council. “The loan exhibitions featured the work of contemporary artists of the day, such as Joan Eardley. 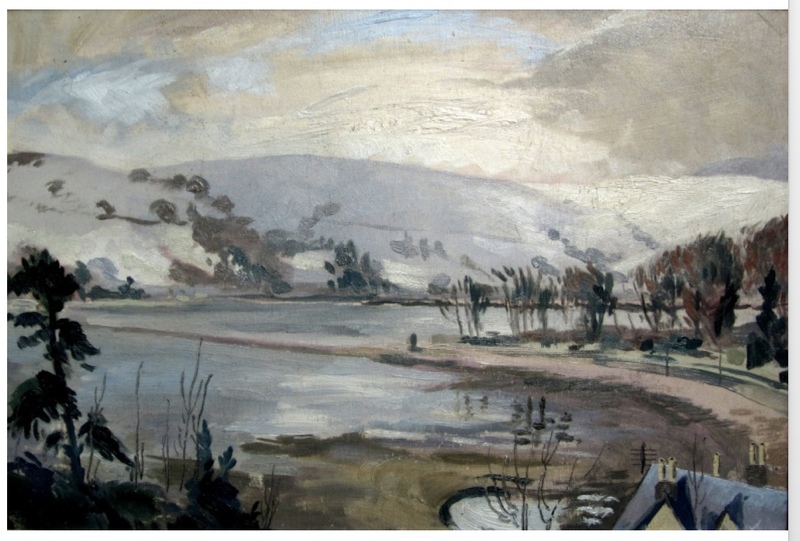 “In the 1950s there were still many older Helensburgh residents who had connections to the previous generations of Scottish painters, such as the Glasgow Boys. “My father developed lasting friendships with some of them, including Nance Anderson and J.Arnold Fleming, and heard their stories. “This led to him promoting various exhibitions of the work of such artists in Glasgow. He developed a great respect and enthusiasm for Mackintosh’s work, took a keen interest in the Hill House and, thanks to the friendship of the then owners, was able to introduce many architects and others to its unique design features. Harry Barnes left Helensburgh for Lochgilphead in 1970 and retired from Glasgow School of Art ten years later. He died in Glasgow after a long illness on May 31 1982. His wife, Lady Alice, who was born on March 9 1914, was also linked to progressive art and design in Glasgow and London. In a tribute published after her death on November 10 2010, Pamela Robertson, senior curator at the Hunterian at Glasgow University, wrote that she led a life that was a remarkable combination of domesticity and artistry. Her early childhood was spent in Chelsea, London. Her art teacher father was Randolphe Schwabe, later to become Slade Professor of Fine Art at London University and principal of the Slade School of Art. Her mother Gwendolen was also an artist. 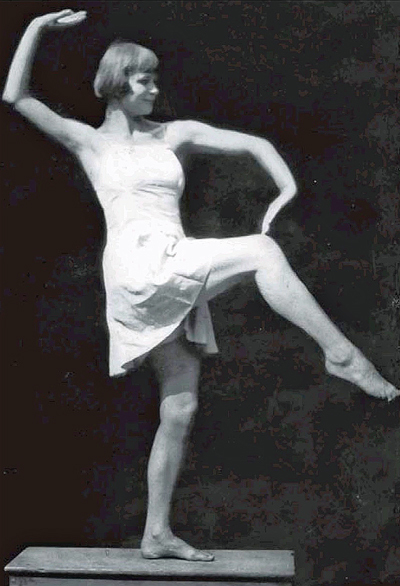 An only child, she had dancing lessons from dancer, choreographer and teacher Margaret Morris. As a little girl she was a favourite of close friends of her parents, Charles Rennie Mackintosh and his wife Margaret Macdonald, who lived in London. She made a career in dancing and teaching, travelling to schools and hospitals throughout the country, to aristocratic private clients, and even to Switzerland to promote medical gymnastics. After her marriage Scotland became her home for the rest of her life, and she ran a succession of large rambling family homes with grace, kindness and unfailing good humour. Her artistic talents were expressed in ambitious patchwork quilts and hangings, tapestries and knitting. She suffered the tragic loss of her only son, Edward, in 1965 and her husband in 1982, both from cancer, but spent many happy years as a very helpful grandmother to Ben, Ed, Katherine and Alex, the children of her two daughters, Janet and Diana. She was very helpful to visitors, students and researchers, and for many, she was the last direct link with Mackintosh and his wife.